Check out these upcoming Atlanta-area festivals this summer! Centennial Olympic Park presents Party In The Park May 18, 2013 at 3 p.m – 11 p.m., which includes Passion Pit, Ellie Goulding, GroupLove, and more artists to be announced! All ages are welcome. Tickets are on sale for $35 in advance and can be purchased through Ticket Alternative at http://www.ticketalternative.com/Events/22551.aspx. Patrons may bring blankets and one unopened bottle of water. Party in the Park provides a full day of music and positive vibes and also food and beverages are available. 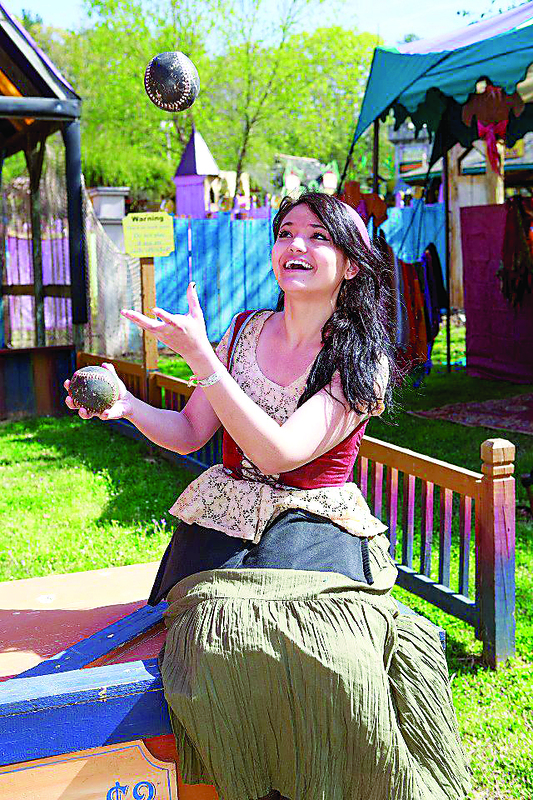 The 28th Anniversary of The Georgia Renaissance Festival will be held April 13, 2013 – June 2, 2013, Saturdays and Sundays plus Memorial Day at 10:30 a.m.- 6:00 p.m. The festival will be held at 6905 Virlyn B. Smith Rd. in Fairburn, Ga. Adult tickets are 2 for 1 $19.95, Senior tickets for patrons 60 and up are $17.95, and children tickets for children 6-12 are $8.95 and free for children 5 and under. Patrons will be amazed by the endless entertainment with 150 shows daily featuring juggling, music, comedic storytelling, and features of incredible physical skills and will get to feast like royalty on hundreds of gourmet delights including the popular giant roasted turkey legs. 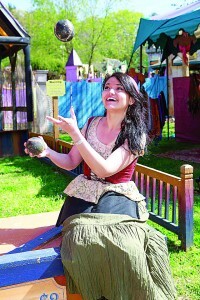 There will also be a petting zoo and rides for families in the medieval amusement park. Hot 107.9 and Heineken presents the 18th Birthday Bash June 15, 2013 at Philips Arena. Special artists like T.I and Future along with many others will be performing. There also will be a pre-block party in Centennial Olympic Park! Patrons will get to see many artists perform at the pre-party and at the Birthday Bash! Food and Drinks will also be available. Tickets are on sale now at www.ticketmaster.com ranging from $50 to $150 depending on the seating level. The block party is free! The Office of Cultural Affairs will be presenting The 36th Annual Atlanta Jazz Festival on Memorial Day Weekend, which is May 25-27, 2013 at Piedmont Park. Jazz legends will be celebrated and also up-and-coming jazz greats will be performing! This festival is free and open to the public. Jazz artists will expose and entertain jazz music lovers with rich heritage and a variety of traditional and authentic jazz music. A 24-year-old tradition, the Decatur Arts Festival will celebrate its culture, community and creativity with a weekend of artistic expressions beginning May 2, 2013 through June 2, 2013. The weekend of May 25 will begin with the ArtWalk through the city as local shops host free receptions for new art shows. The event will start in the community Bandstand on the square in downtown Decatur, Ga. All events for this festival is free and open to the public. The Living Social’s Buckhead Beer and Wine Festival will be held at 12:30 p.m. to 6 p.m. May 23, 2013 at Chastain Park Blue Lots 4469 Stella Drive NW Atlanta, Ga for the second year in a row. Dozens of craft breweries, wineries, local food trucks and hundreds of Atlanta patrons will gather in Atlanta for the ultimate party. Tickets for this event are on sale now until they are sold out for $35 at LivingSocial.com/events. VIP tickets are available for those interested in heading to the event one hour early for a meet-and-greet with the brewers and wine makers. The 7th Annual Fiesta Atlanta will take place Sunday May 5, 2013 at Centennial Olympic Park in Atlanta, Ga. It is Atlanta’s premier Hispanic outdoor festival and the largest Cinco De Mayo Celebration in the southeast. The event features a daylong celebration of Latino Culture and Heritage, with live performances on two stages by international and national recording artist. The multi-cultural celebration will feature Mexican folk dancing, a 5k race, youth soccer clinics and sponsor displays with free product samples, arts and crafts and authentic food. The Wells Fargo ArtsVibe Teen Program proudly announces the first annual Voices & Vibs Teen Festival on April 26-27, 2013 from 7 p.m. to 8 p.m. at the Woodruff Arts Center, Atlanta Ga. The event is free to the public to celebrate teens who are engaged in the Atlanta artistic community by providing them with an opportunity to perform, partake in workshops, and participate in exciting activities. The Inman Park Festival will take place in Inman Park, one of Atlanta’s oldest and most scenic parks to celebrate its 42nd anniversary. 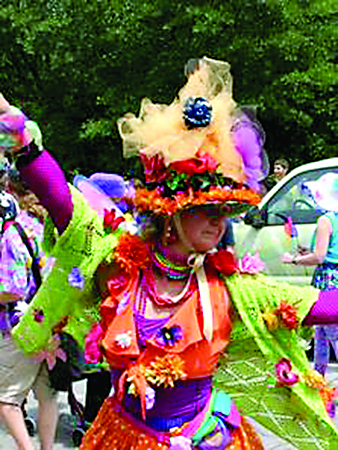 The festival offers music, kids activities, a Tour of Homes, a street parade, an artists’ market. Patrons are encouraged to come early and stay late to get the best experience the festival has to offer. The Tour of Homes will begin at noon to 4 p.m. April 26, 2013. The festival is on April 27-28, 2013 at noon to 6 p.m. and the parade will be on April 27, 2013 at 2 p.m.